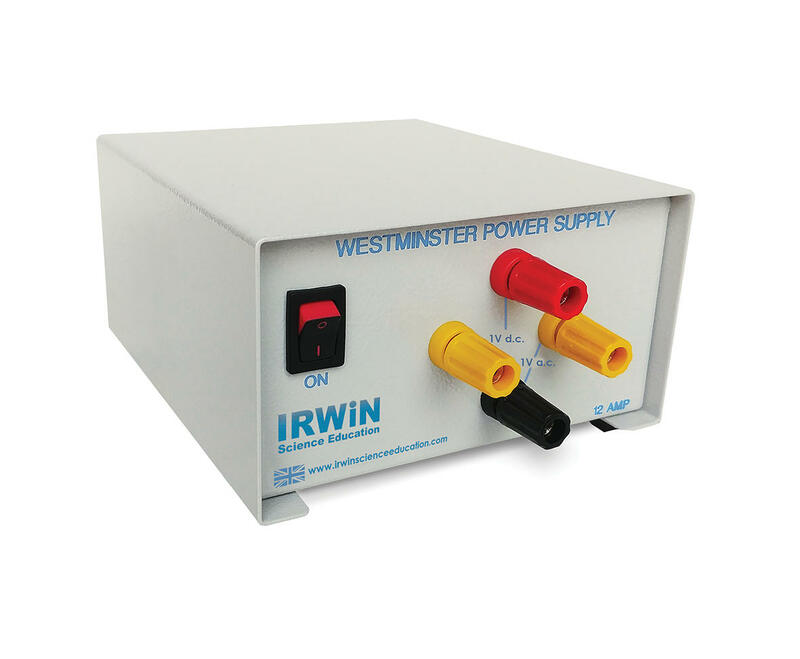 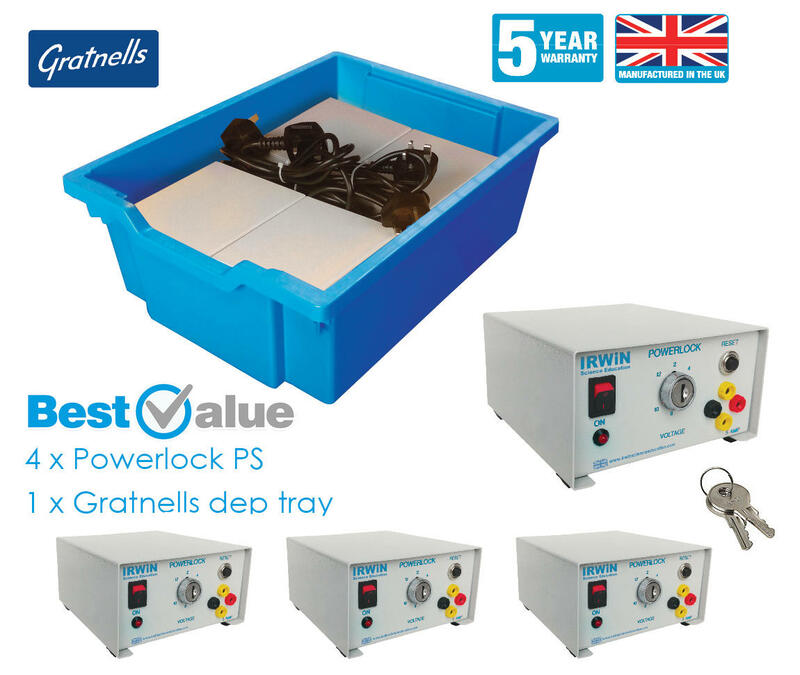 A very popular and compact Westminster power supply that is ideal for school use in Key stage 4 and 5 physics lessons with its tough steel case protected by a tough powder coated finish that will last years of use. 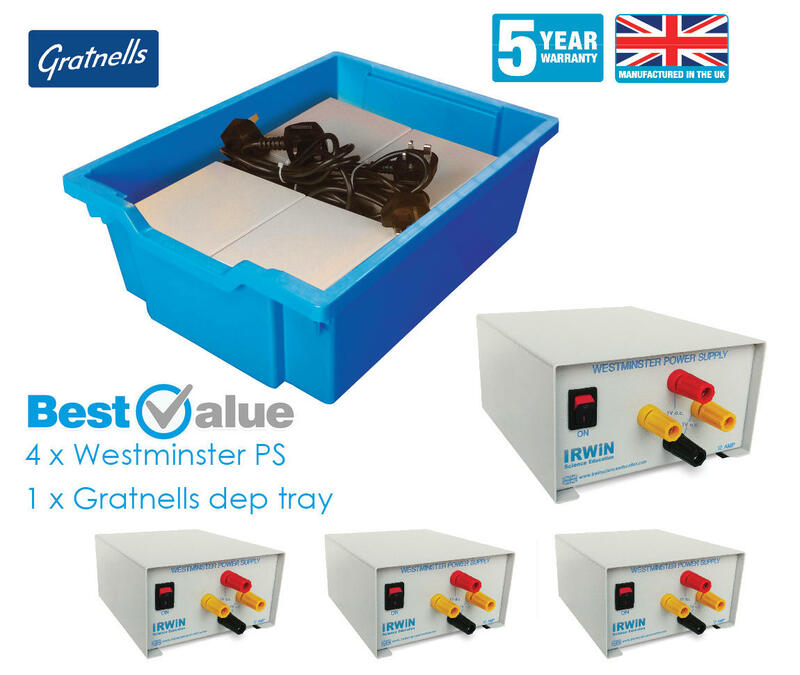 The unit will deliver up to 16A AC or DC through its colour coded terminal posts. 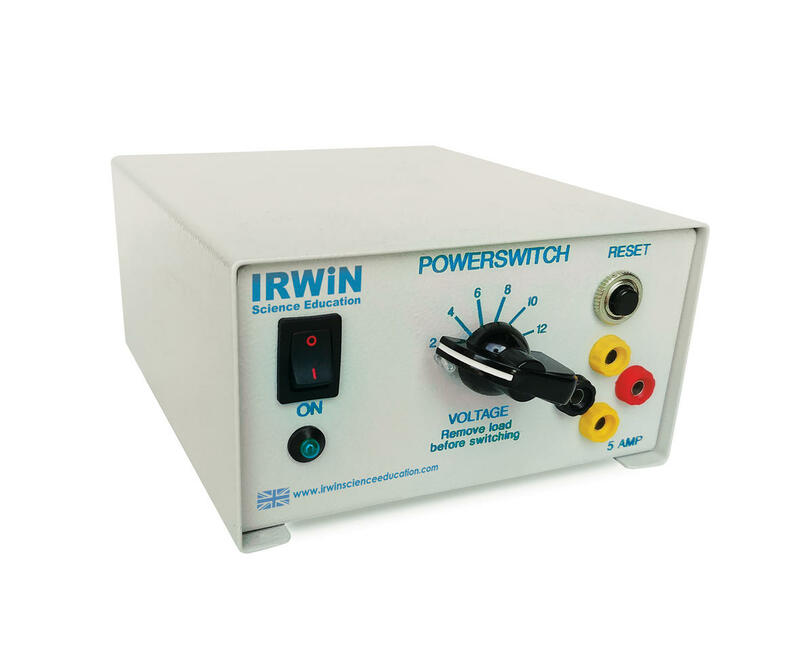 This power supply is very popular for use in electromagnet experiments.